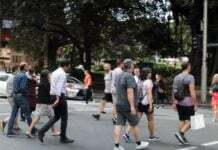 That call is part of the Sorry Day Prayer which may be offered at any time but is especially appropriate on the day itself, Tuesday, 26 May, leading into National Reconciliation Week which commemorates two important anniversaries in comparatively recent history. They are the High Court’s Mabo decision of 1992 giving legal recognition to Aboriginal and Torres Strait Islander people having a special relationship to the land that existed prior to colonisation and exists today; and also to the 1967 referendum. A “no” case wasn’t presented and voters delivered the highest level of success for any referenda question in Australian history when almost 91% voted to officially count Aborigines in population statistics and for special laws against those people not to be made by individual states. Commemoration this year will come amid debate on the prospect of further official recognition for indigenous Australians. “It’s time to change it up” is the theme for the week, which organisers hope will prompt further moves to end discrimination by improving recognition and further addressing issues of inclusion. 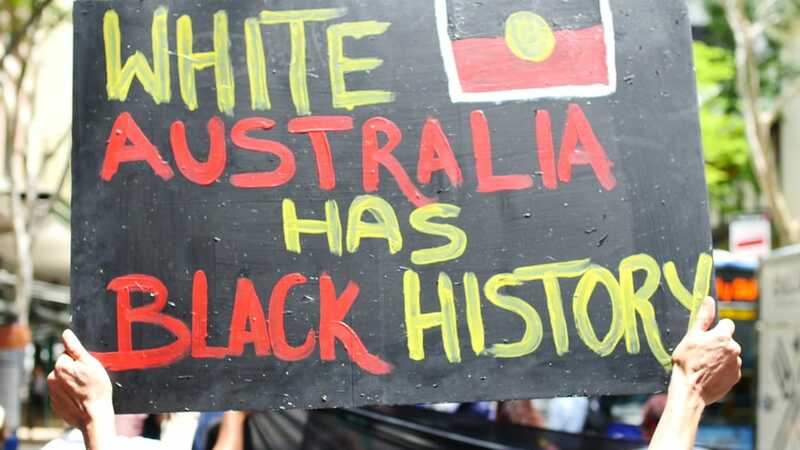 National Sorry Day was introduced in 1998 and attracted more than 200,000 people to march across the Sydney Harbour Bridge two years later, protesting against the mistreatment of Aboriginal people who were part of the “stolen generation”. Despite that strong display and the apology outlined by Prime Minister Kevin Rudd to Federal Parliament in 2008, much recent debate has been aimed at more being done for further recognition. Lawyer, academic and land rights activist, Noel Pearson has argued for an indigenous constitutional body, proposing an advisory and consultative group to empower indigenous people with a voice in the parliamentary process. Other contributors to the debate argue for amending the Constitution rather than taking what they see as his easier approach to addressing issues sparking calls for another constitutional referendum, which would need to be passed or it could severely hamper relations with the first Australians. Indigenous leaders and commentators are concerned to maintain the distinctive cultural heritage of their people: an issue which was successfully addressed by Pope John Paul II in relation to faith when he visited Australia in November 1986. “All over the world people worship God and read His word in their own language, and colour the great signs and symbols of religion with touches of their own traditions. Why should you be different from them in this regard, why should you not be allowed the happiness of being with God and each other in Aboriginal fashion?” said the now sainted Catholic leader. His words were an invitation to embrace the Christian faith within the unique culture of the Aboriginal people. In many ways, that parallels what’s being considered at other levels now through reports from the Joint Select Committee on Constitutional Recognition of Aboriginal and Torres Strait Islander Peoples. Statements by the Pope brought praise from leaders like Aunty Elsie Heiss who was involved with the Aboriginal Catholic Ministry in the archdiocese of Sydney. “The pope opened the doors for us to stand up and be counted. To say we’re proud of being Aboriginal and we’re proud of being Catholic,” was the way she expressed her feelings. On fronts such as matters of health and education, positive developments have come more slowly. Last month, the issue of honouring Aboriginal soldiers was addressed belatedly through a song from John Schumann, best known for his Vietnam War anthem I Was Only 19. His latest work pays tribute to diggers he says were largely forgotten and it’s written from the perspective of a white soldier reflecting on his black soldier mate. The work ends with a call to recognise Aboriginal soldiers who contributed to engagements in world wars without having the right to vote: “Who joined and fought and died from the missions, bush and station country, town and Torres Straits”. A single song and the words from a pope can’t turn around neglect, disappointment and even anger suffered by our original Australians, but they can help to address the “broken, homeless and afflicted” for whom we should pray. Next articleWhy are families reluctant to ask for help when they most need it?